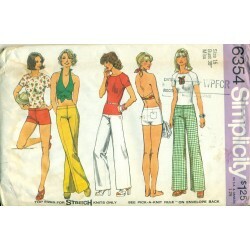 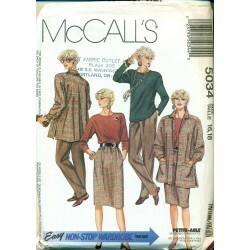 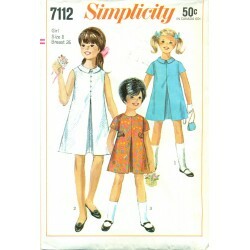 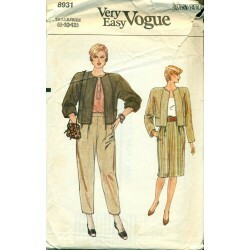 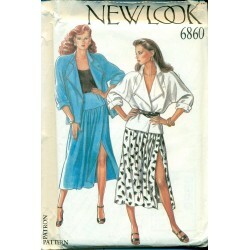 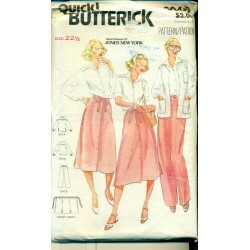 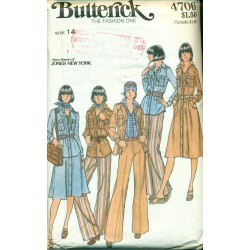 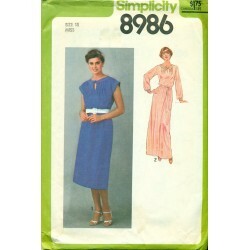 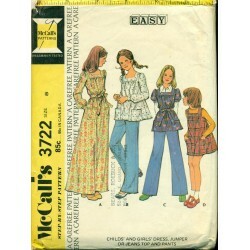 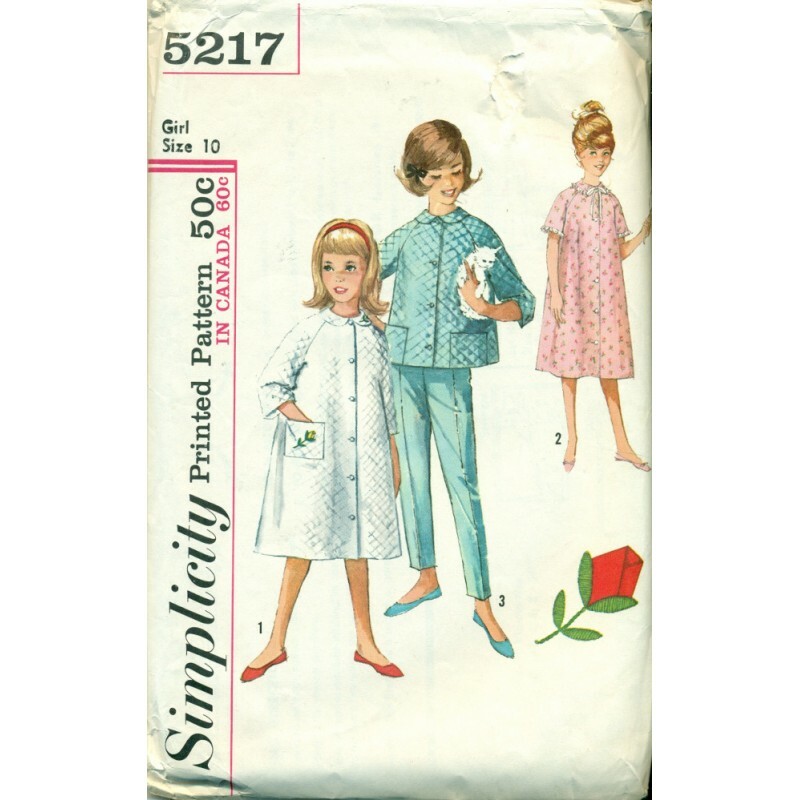 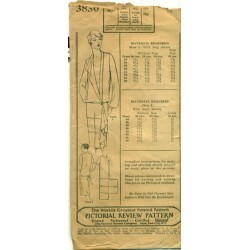 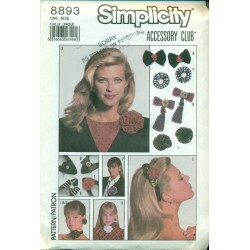 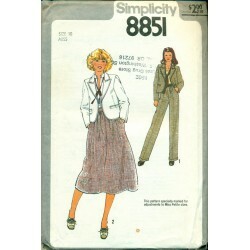 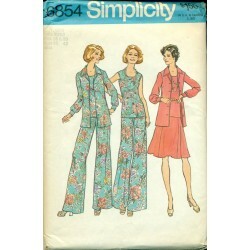 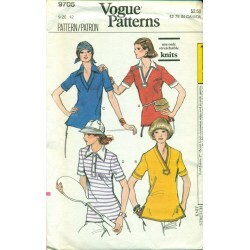 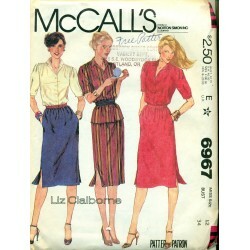 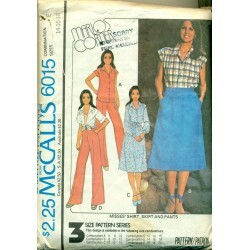 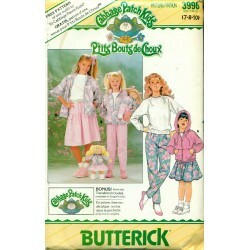 Fun and cute vintage styling from this sewing pattern from Simplicity! 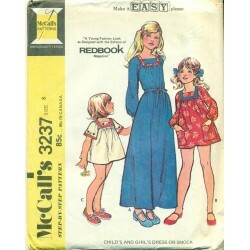 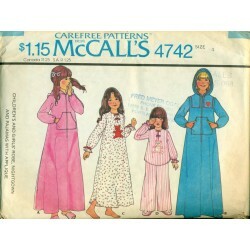 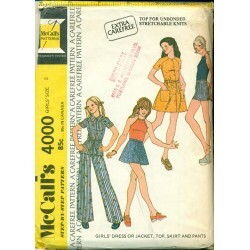 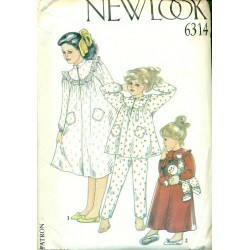 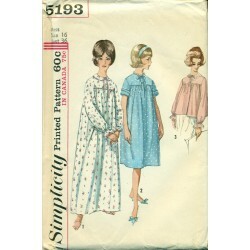 Features robe pattern which can also be sewn as a nightgown or pajama top. 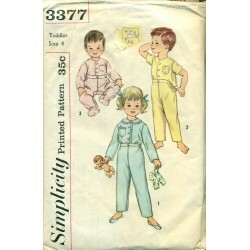 Raglan sleeves, peter pan style collar and patch pockets. 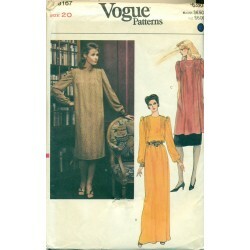 Above or below the elbow sleeve lengths. 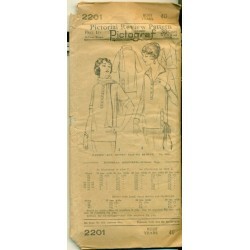 Rosebud embroidery transfer is included. 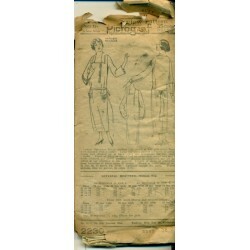 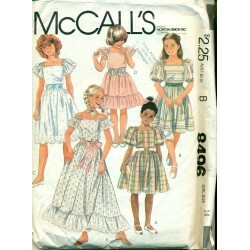 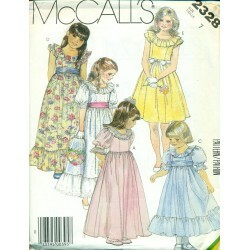 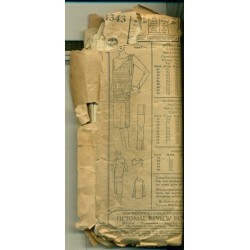 Condition : Counted and complete with all pieces, instructions and embroidery transfer here. 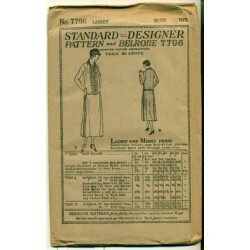 Minor wear to the envelope.